The aims of this study were to identify measures of mental health and social inclusion outcomes to provide an evaluation framework for arts and mental health interventions. Data was gathered on participatory arts projects across England for people aged 16-65 with mental health needs. The report includes the results from a survey of arts for mental health provision in England, and qualitative case studies with artists and participants in six projects. Spandler, H., Secker, J., Hacking, S., Kent, L., & Shenton, J. 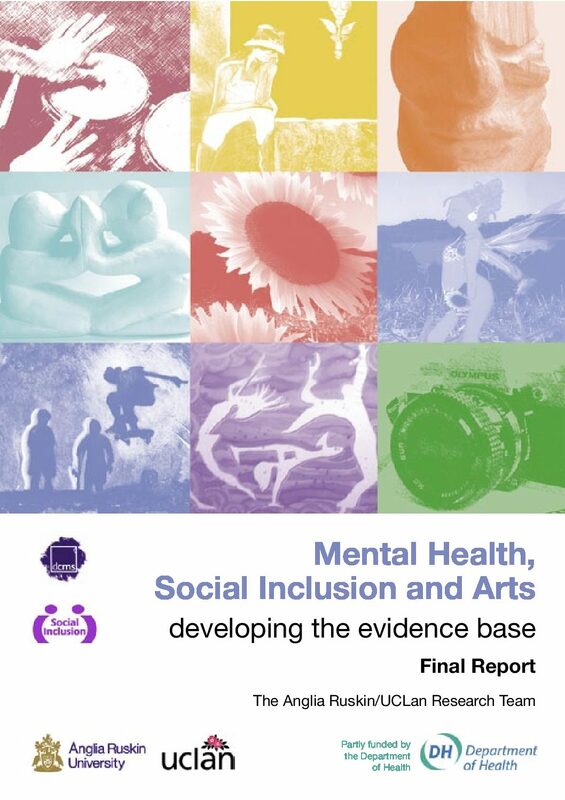 Mental health, social inclusion and arts: developing the evidence base. Project Report. National Social Inclusion Programme , Care Services Improvement Partnership, London.